Public Art has become a part of the fabric of Newport News and now you can see it in a whole new way! 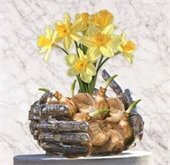 Newport News Public Art Foundation sculptures are being used as the artistic themes for The Garden Club of Virginia's 83rd Annual Daffodil Show. Sponsored by the Huntington Garden Club and sanctioned by the American Daffodil Society, the show takes place at the Hampton Roads Convention Center from 2-6 p.m. on Wednesday, April 5 and from 9 a.m.-1 p.m. on Thursday, April 6. Artistic and horticulture entries from arrangers and growers around the state will compete for awards and ribbons. Come out and see all the amazing entries and the artists’ perspectives on sculptures like Selene and Whitetail Crossing in flowers. The Daffodil Show is free and open to the public. 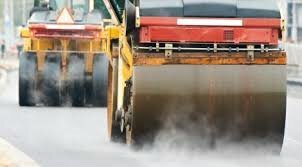 Milling and paving operations have begun on Warwick Boulevard between Mercer Lane and Woodhaven Road in Denbigh. The work is taking place overnight between 7:00 p.m. and 6:00 a.m. Sunday night through Thursday night/Friday morning. There will be no construction activities between 6:00 a.m. Friday and 7:00 p.m. Sunday. During the overnight construction motorists may see single lane closures and those travelling in the area are advised to be alert to changing traffic patterns. This project is part of the City’s spring paving and is scheduled to be completed in late April, weather permitting.